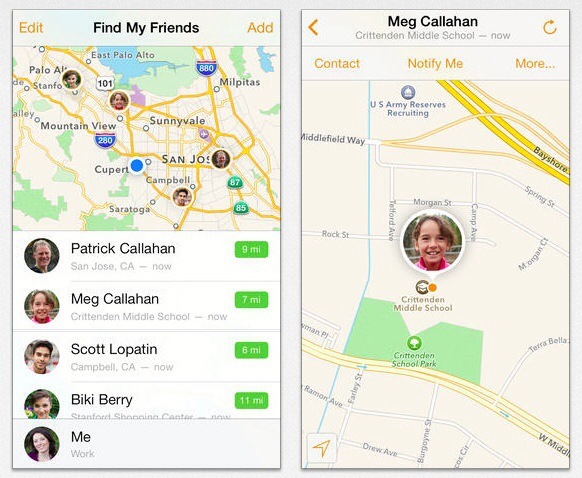 Apple yesterday updated its Find my Friends app for iOS 7. This marks the last major Apple app to be updated with the new design changes in iOS 7. iOS 7 debuted in mid-September and Apple issued subsequent updates for its iOS apps. Only iTunes Connect, the developer portal, is missing an iOS 7 update (this is not a consumer app). Find my Friends now sports a completely new and redesigned interface. Let us know what you think of the new UI in the comments below! This entry was posted in Apple, iOS and tagged Apple, Find My Friends, iOS, iOS 7. Bookmark the permalink.